The good old bankers in India's sarkari banks are praying hard for the Modi magic to do work wonders in the real economy, bring back investments, spur economic activity and thus help improve the fortunes of their debtors. The reason: The fate of large quantum of loans, which have gone into bad and restructured loan categories, now heavily depend on how soon the economy recovers from the ills of a prolonged slowdown. Bankers are under tremendous pressure from the government to cut their bad debts and capital burden arising out of high provisions. "It all depends on how fast the economy recovers," said a senior banker at a government bank. He didn't want to be named as he is not authorised to talk to the press. To be sure, the banking system has already embarked on a battle to tackle the sticky assets and hunt down wily promoters, but that wouldn't help to get their money back from companies, which are in genuine financial difficulties on account of economic slowdown. 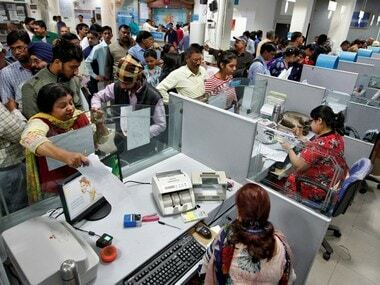 Early this year, the Reserve Bank of India (RBI) released a paper that sought to change the way banks dealing with bad loans in the economy by identifying stressed cases much before they turn NPA (non-performing assets). The central bank has also tightened the grip on wilful defaulters by making guarantors answerable if a firm is classified as wilful defaulter. Along with this, the government too has begun pushing banks to go for a witch hunt on wilful defaulters. But, none of these really address the issue of existing stock of bad assets in the banking system, some of it is hidden in the form of restructured loans. 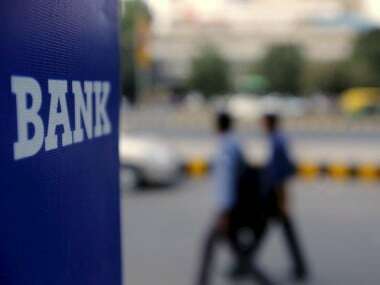 Here are the numbers: total gross NPAs of banks, as of end June, stood at Rs 2.5 lakh crore, while the amount of loans, which have been recast under various channels stands anywhere between Rs 5 lakh crore to Rs 6 lakh crore. Bad and restructured loans impact the profitability of banks and their overall financial health, since these banks need to set aside more money to cover such loans, in terms of provisions. For a loan, which has gone fully bad, the provision can be as high as 100 percent, while for a fresh restructured loan, the provision is 5 percent. The banking system is the proxy to any economy and hence, banks mirror the state of the economy. Analysts estimate that at least 25-30 percent of the restructured loans to turn bad in the absence of economic revival. India's economy, which grew at sub-5 percent levels for two consecutive years, is yet to substantially recover from the slowdown. For the quarter ended June this year, India's economy grew at a nine-quarter high of 5.7 percent, compared with 4.6 percent in the previous quarter. Fears of prolonged delay in revival got intensified with economic indicators painting a bleak picture of the real economy. 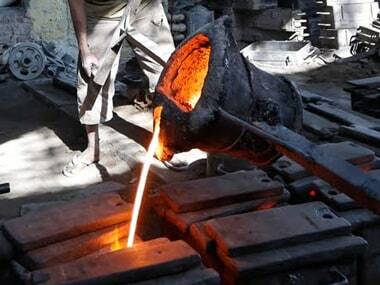 On Friday, the data released by the government said India's factory output grew by only a marginal 0.5 percent in July on a year-on-year basis, primarily due to contraction in manufacturing activities. According to a note issued by rating agency Care, the contraction in growth of capital goods "denies any kind of revival in investments cycle. This could be attributed to prevailing higher interest rates, existence of excess capacity and limited demand." Besides the slowdown on the manufacturing front, there has been no pick-up in growth of consumer goods in July 2014. More than economic factors, the biggest worrying part is that the hopes of 'achhe din' happening in economy with the arrival of Narendra Modi, has taken a beating, at least for now. Banks restructure the loans of a troubled borrower through the CDR channel and through bilateral recasts. Under CDR, a troubled borrower is permitted a reduction in interest rates, a repayment holiday and an elongated repayment period. In some cases, banks also take a haircut on such loans. CDR happens between a consortium of banks. The deal works out only when 60 percent of the banks by number and 75 percent in terms of value agrees to the proposal. Loans currently being recast through this channel stands over Rs 2.5 lakh crore, while on a cumulative basis, banks have restructured over Rs 3 lakh crore loans. Besides CDR, banks also conduct bilateral restructuring cases, such as the restructuring banks offered for the now-defunct, Kingfisher airlines in 2010. Here, the specifics of loan recasts are worked out outside the CDR mechanism. The size of bilateral recasts is estimated around the same as CDR numbers. Together, the figure works out to around Rs5 to Rs6 lakh crore. 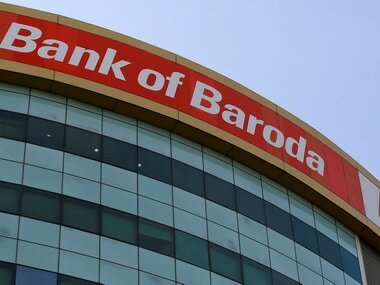 This, combined with the bad loans, stands Rs 8.5 lakh crore or 14 percent of the total loans given by the banking system. Loan recast is only a temporary assistance to a troubled borrower, but the final fate of the account depends on whether the company manages to improve its financial health backed by the recast and return to normalcy. Going ahead, how soon the momentum picks up and result in more action on the ground is highly critical for the banking system. In the absence of a significant revival in the economy, the chunk of restructured loans can join the current pile of bad loans on the books of banks. Already, a substantial chunk of such loans are, in fact, no better than bad assets and stay standard supported by the loan recasts. Many such loans have been pushed to the loan recast channels under the corporate debt restructuring (CDR) channel and bilateral route, will turn bad if the Modi magic fails to lift a slowing economy. According to data availed from the CDR cell, number of firms which have exited from the mechanism due to failure to improve their financial health despite the assistance from banks. On a cumulative basis, number of companies exited due to failure from CDR cell stood at 130 with total loans amounting to Rs 38,686 crore, while number of firms exited successfully stood at 75 with their total loans amounting to Rs 58,000 crore. Besides the economic slowdown, reasons for failure by companies despite having assistance from banks, can be attributed to rising number of instances of firms seeking the CDR facility for reasons that aren't genuine. Clearly, such companies have been misusing the loan recast facility. A lot will depend on whether Modi, who came to power with unprecedented fanfare, manages to turn promises to action.